I want to remember this day. The atmosphere serene, the company pleasant, the cobblestones warm to the touch... it was just one of those perfect days with my two favorite people. 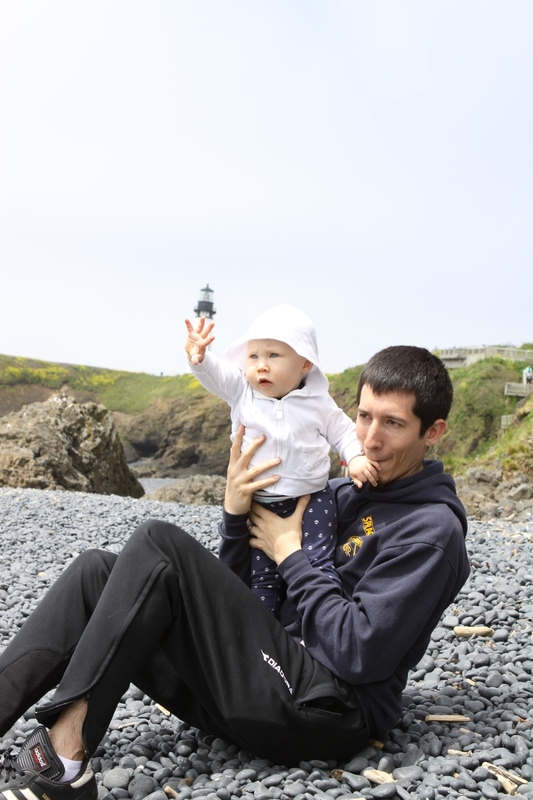 A few days before the craziness of graduation, moving, and the start of residency began, we ventured off to one of my favorite places in Oregon: Yaquina Head Lighthouse in Newport. With two prior visits under my belt, I couldn't wait for Bonnie to experience it too. Due to a mid-week visit, the park was rather lacking in human numbers but not in wildlife! Bonnie has since become a lover of birds and points to the sky emphatically when she hears a "tweet, tweet" or anyone mentions the word, "bird." This makes me smile as I have called her my little birdy since she was born! Perhaps my favorite part of the day was finding a spot on the cobblestones to sit and nurse my girl. She's long over public nursing sessions as there is far too much to be distracted by. However.... with the sound of the crashing waves, gentle wind, and echo of thousands of birds in the distance, she lulled into the sweetest little nursing babe I could have ever asked for. Those few minutes did my mama-heart good. We explored, watched the animals (including sea lions), and played on the rocks until heading further into town for ice cream shakes and more sea-lion watching. It was our last "Oregon" adventure for a while and one that I will remember dearly. Nature really is the greatest playground. I hope Bonnie continues to learn this way and enjoys God's beautiful creation all of her days. Today, we're off to a new site near our new home. Point Reyes National Seashore, here we come!